 It was back in 1956 that Dr. R.O. 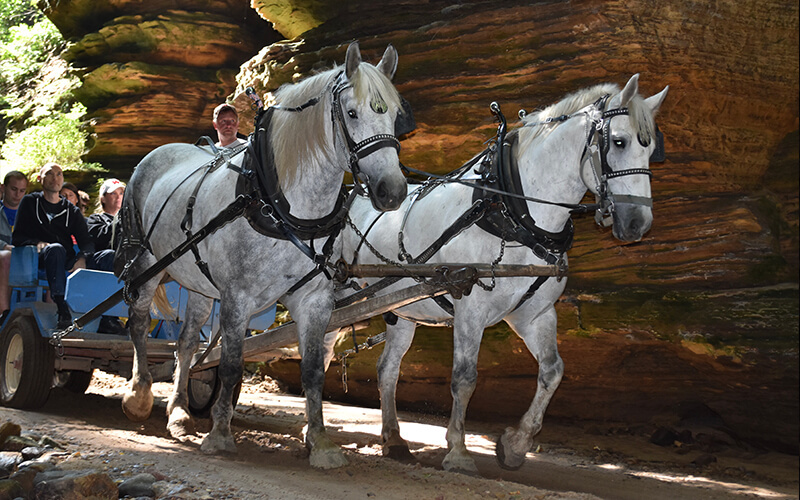 Ebert started the horse-drawn wagon tours through Lost Canyon, the longest and deepest land canyon in Wisconsin. In 1967, the Kissack families took over the business and still operate it today, doing their part to maintain this natural treasure. 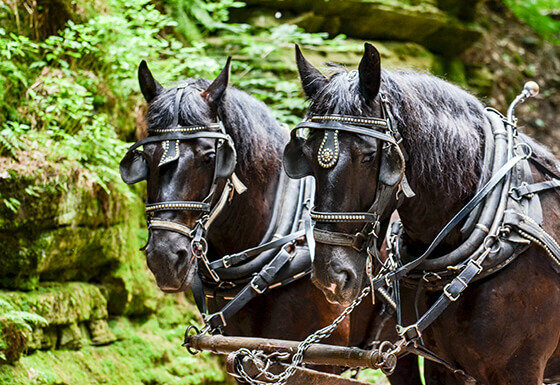 Visitors ride through a mile of cliff-walled gorges in comfortable yet quaint horse-drawn carriages. 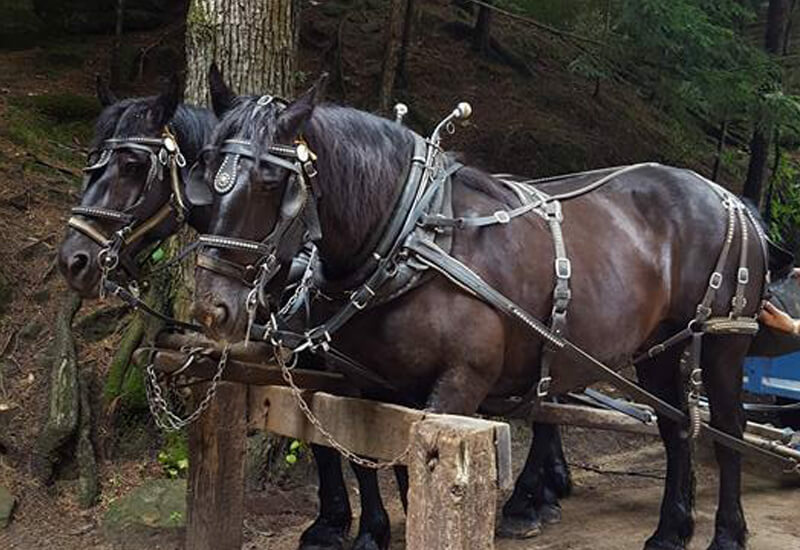 At the narrowest passages, the guides must talk the horses through the tight squeeze. 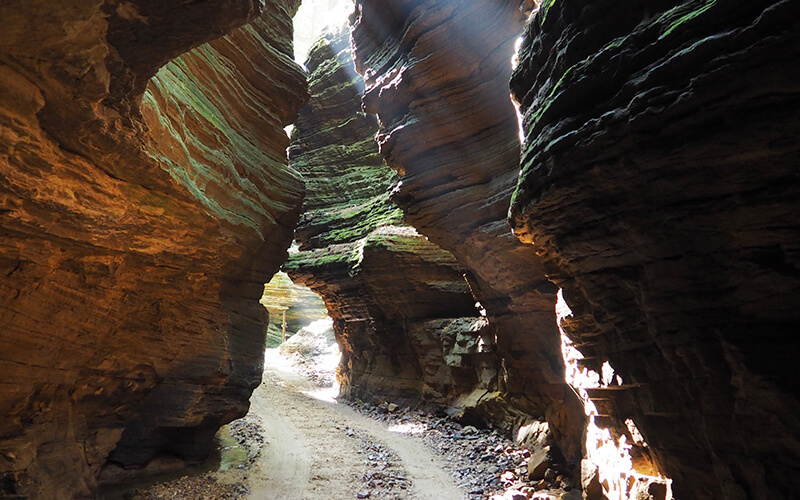 In some of the deeper parts, the sheer rock and sandstone wall have not felt the touch of the sun in more than 50,000 years. We offer different deals and ways to save on your next canyon adventure. We offer affordable outdoor family fun. 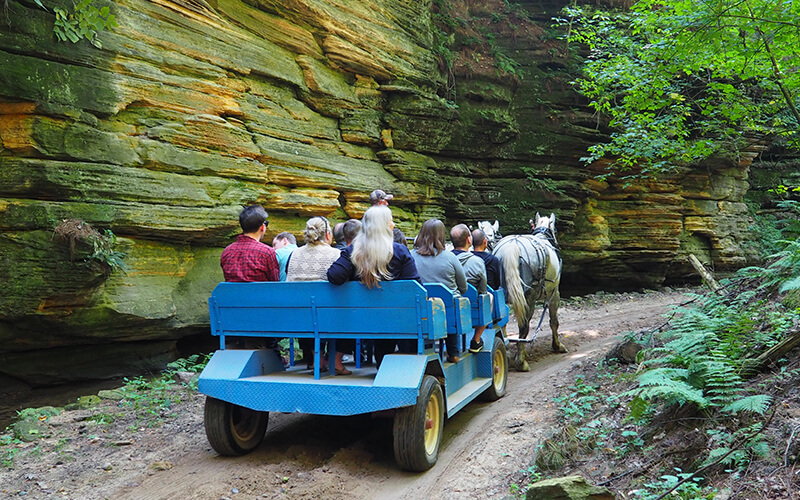 You don’t want to miss our famous canyon tours. Lean more about the Lost Canyon tours located on the shores of Lake Delton.